At TS we are always looking to the future & by doing so we are able to stay on top of the projected trends, styles and color palettes for the next upcoming event seasons. The 2014 wedding season was all mason jars, eclectic vintage and shabby chic looking to create a rustic feeling with a traditional twist. Weddings were stacked with hints of gold, peonies and blush undertones or burlap, lace and wildflowers in tiny little bunches. But what will 2015 bring? Here at Tin Sparrow we have seen a rise in our clients pulling away from planning their weddings that mirror the trends of weddings that they have been guests to, some have even told us after attending 3 or 4 events this season they began to feel that they were attending the same wedding over and over again. It is ultimately the reason that they choose to go with an event planner to assist them in making their wedding days anything but cookie cutter. So we are confident in saying that the 2015-2016 trends and styles will move away from the Rustic/Traditional and move into a more “take some risk” attitude to stand out against everything that has been the staple for the last 3 seasons. Many are looking for a more Natural feel, a more Organic and Outdoorsy temperament but with edgy pops of brilliant pinks, Kelly greens and dare I say hints of mint, hues of blues like cobalt and even some grey undertones with accents of yellow is on the rise. They are beginning to take on the less is more attitude when it comes to decisions for their next season events. This means less clutter, less DIY, less shabby but more actual chic but a whole lot more simplistic and sophisticated. We foresee more global love being introduced thru patterns and textiles with a more Moroccan Bohemian and Boho feeling. Ikat Indonesian touches are hot right now in the interior design industry and we can definitely see some of our more edgy clients introducing this into their stationary, table coverings and even backdrops. This next year’s bling will be all about the sequins and I mean it is going to be covering everything from shoes, dresses, tables, chairs to even cakes and even multiple aspects of the décor. Think rose gold verses the harsh yellow in traditional gold, hints of brushed silver and flat blacks for a more natural not so shiny or glossy feeling. Flowers are even going to heading down a new road with less structured more romantic tones, over the top lushness, a more young carefree just picked from the garden feeling and more brides are looking to go hands free down the aisle with wearable flower crowns of statement pieces complementing their hair & makeup. Rising cake trends are among one of our favorites as couples are beginning to not only get creative with their cakes but also more artistic with their requests. Sugar flowers vs real flowers, metallic accents, hand painted extras, taking bold + bright all the way to monochromatic whites on whites. 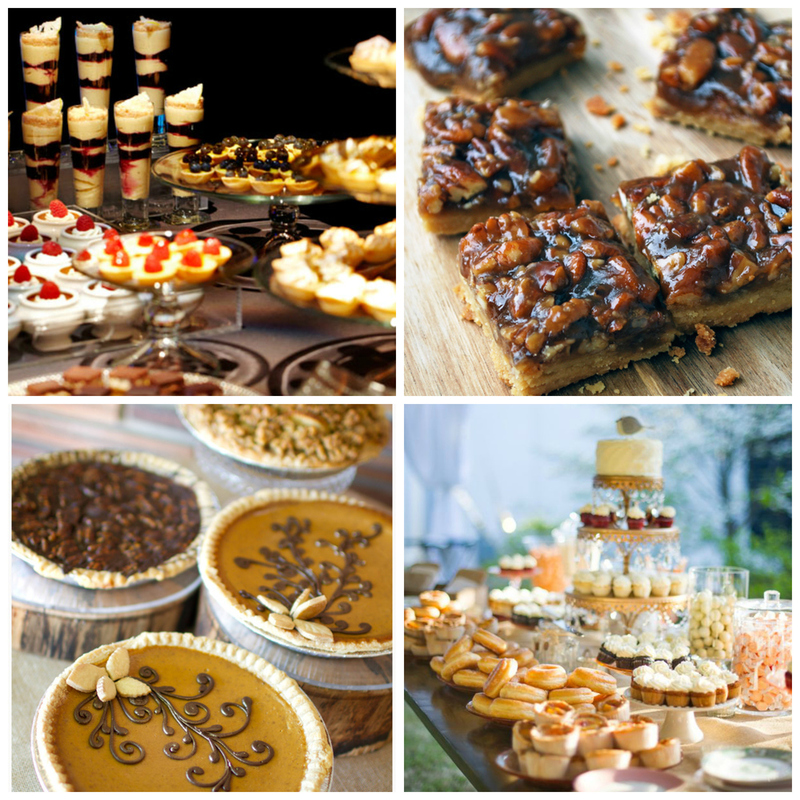 We could go on for days about the rising trend in dessert bars ranging from elaborate pie and campfire worthy treat bars all the way to granola buffets where guests are invited to combine their own trail mix power snacks to keep them going during the wedding after parties. Over the next few weeks we will be covering everything from 2015 Wedding Fashion week trends to Pantone's predictions for the next hot colors. Be sure to check in often as we will be bringing you all the 2015-2016 projected style & trends as we begin providing our own clients and possibly even you the latest in unique, edgy and against the grain event options and ideas.